Scottsdale, Arizona (December 4, 2018)– Legendary club maker Miura Golf announced that it now offers fully assembled premium golf clubs directly to golfers from its website, miuragolf.com. 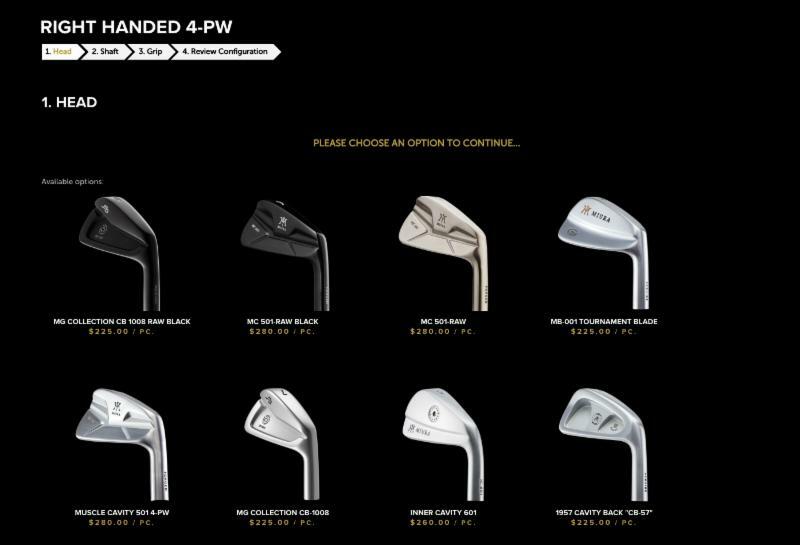 Miura’s groundbreaking new e-commerce platform, launched over Thanksgiving weekend, allows golfers to pair Miura’s highest quality forged steel club heads with matching shafts and grips from some of the game’s top manufacturers for a custom built set of clubs. Miura Golf makes the world’s finest forged golf clubs, which are designed and manufactured by the Miura family in their factory in Hameji, Japan. The entire family works hands-on in the factory and continues to carry on the Miura legacy. Miura Golf is part of the 8AM Golf family. 8AM Golf was created by golf entrepreneur and philanthropist Howard Milstein, as the holding company that oversees his golf companies—all of which help golfers at every level enjoy the game more. In addition to Miura, other 8AM Golf companies include the Nicklaus Companies (in partnership with Hall of Fame golfer Jack Nicklaus), GOLF Magazine and the GOLF.com website, True Spec Golf, a brand-agnostic club-fitting company that has fit more than 30,000 golfers worldwide, and GolfLogix, the most-downloaded GPS app in golf.